Selling a home can be a lengthy, complicated process involving many inter-related and sometimes confusing steps, especially for first-time sellers. There’s way more to it than just listing and collecting the check (and that, of course, is why agents are worth every bit of their commission). So, naturally, sellers usually have a slew of questions – even before they begin the selling process. With that in mind, here are our most frequently asked questions from home sellers in South Washington County. 1. When is the best time to sell? Of all the questions from home sellers, this is probably the most difficult to answer with any degree of accuracy. And the reason is that the best time to sell differs from region to region, from market to market, and even from neighborhood to neighborhood. The best time to sell your home, then, is what will work best for your area and for your particular circumstances. In general, though, the best time to sell is usually in the spring. Winter’s harsh weather is over, days are warming up and getting longer, and people are out and about looking for homes. But the optimum spring selling months also differ in various parts of the country. For example, the optimum selling period may be April, May, and June in Minnesota, but March and April in Florida. 2. What is the real estate market like right now? This is another one of the questions from home sellers that can have different answers depending on the area and neighborhood. Still, there are some general market indicators that can help you get a handle on the state of the market for your selling purposes. One of these indicators is average days on the market – that is, the average length of time a house is on the market before it sells. The lower the average days on the market, the stronger the market is for sellers. Additional reliable market indicators are average sale prices, the number of closed transactions year-over-year for a particular month, and the list-price-to-sale-price ratio. Again, your agent can help you work through all this. 3. What do I need to do to prepare my home for sale? This one of the questions from home sellers in South Washington County is the one often asked with the most anxiety and worry. Home sellers are often worried that they will have to dump a lot of money into their home in order to sell it. An improperly prepared home may sit on the market for a long time. Just keep in mind that first impressions are hugely important. That means then that you need to do everything possible to ensure that your home looks its best and that everything is properly functioning. And, often, it’s not as difficult or as expensive as it may seem at first glance. Typically, it just takes a critical eye and a little elbow grease. Be sure to de-clutter and paint rooms where needed and have the HVAC, plumbing, and electrical systems checked out. Take care of the landscaping and make sure the roof is in good repair. In addition, it’s a good idea to hire professional stagers. 4. Why does the assessed value differ from what my agent says the home is worth? The confusion and concern here are understandable because these values can differ widely. Just keep in mind, though, that these valuations are made for different purposes, so it’s really not a great matter for concern. The assessed value of your home is a valuation made by your local municipality in order to determine the amount you have to pay in property taxes. This valuation actually has no effect on and plays no part in what your home will be worth to potential buyers. The appraised value or the value determined by your agent is the market value of your home. It is the price your home can reasonably expect to command under current market conditions. Problems arise, though, when buyers aren’t aware of these differences. When the assessed value is lower than the appraised value, they may think your home is overpriced. Or, on the other hand, if your home is priced lower than the assessed value, they may think something is wrong with it. Again, your agent can help with explanations so that buyers will realize that there is no real connection between assessed and appraised value. 5. 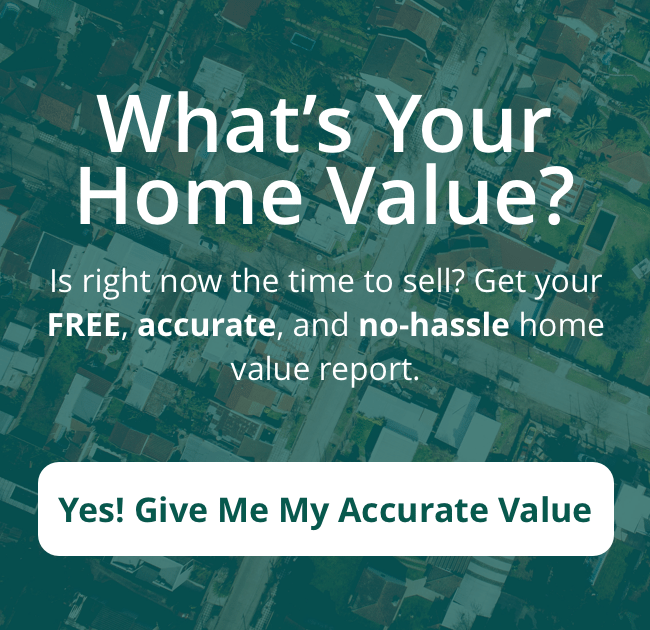 How does my agent determine what my home is worth? Real estate agents employ several methods to determine what your home is worth in the current local market. The most common method is a comparative market analysis (CMA). This is a thorough analysis of comparable, recently sold (typically with the past 6 to 12 months) homes in the neighborhood and immediate area. When your realtor determines what homes like yours have been selling for in your area, she will have a good idea of what your home will be worth to buyers. 6. What do I do when I get a lowball offer? When offers begin to come, questions from home sellers in South Washington County often come down to this one important question. First, you should be aware that there will probably be lowball offers, and then you need to make sure you realize that it’s nothing personal. Keep everything on a business level, rather than an emotional one. Also, a lowball offer doesn’t mean that the offer can’t be increased and turned into a sale. Don’t be insulted by the insultingly low offer. Instead, come back with a counter offer at a higher, more reasonable price. If the buyer is interested, she may meet your price. 7. How long will it take to sell my home?